Maxine M. Ricalton, 78, formerly of Canton passed away peacefully on Thursday, April 11, 2019 in Rochester, NY. Maxine was born April 2, 1941 in West Pierrepont, New York; she was the daughter of the late Howard and Katherine (Chase) Moore. 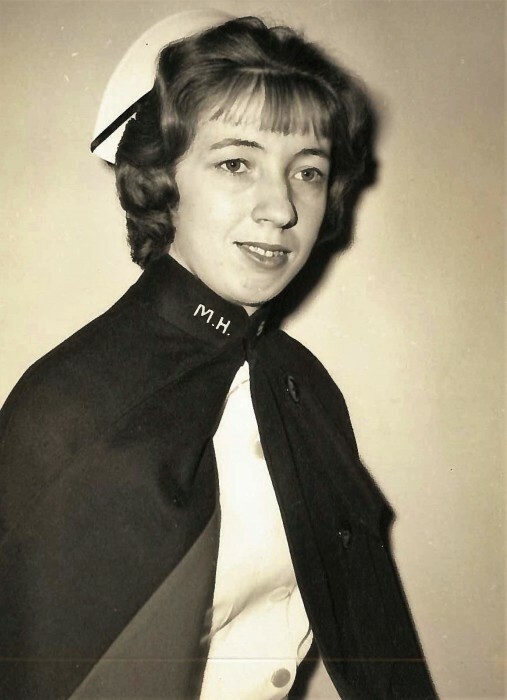 Maxine was president of the South Pierrepont 4H Club for four years and graduated from Colton-Pierrepont Central School in 1960 and from Mercy Hospital School of Nursing in Watertown in 1963. She was the Class President her junior and senior years, as well as Student Body President her senior year. On May 25, 1963 she married Robert John Ricalton at St. Paul’s Church in South Colton, NY with Rev. Peter Ward Officiating. Following her nursing school graduation, Maxine began working at the E.J. Nobel Hospital in Canton from September 1963 until June 1976. She then joined the Winning Health Service staff at St. Lawrence University in 1980. In 1991 she was promoted to Head Nurse and in May 1995 to Nurse Manager, retiring January 1, 2000. Maxine loved family, nursing, quilting, knitting, reading mysteries and refinishing furniture that Robert built for family and friends. Maxine is survived by two daughters, Lori Anne Ricalton and husband John Disharoon of St. Petersburg, FL and Lisa Marie Ricalton of Rochester, NY; three grandchildren, Travis, Kamara and Riley Robideau of Rochester, NY. She was predeceased by her husband of 49 year, Robert, on May 2, 2012. Contributions in her memory may be made to Canton Rescue Squad, 77 Riverside Dr; Canton, New York 13617 or to St. Mary’s School, 68 Court Street; Canton, New York 13617. In accordance with her wishes, funeral services will be held privately for her immediate family. Memories and condolences may be shared online at www.olearyfuneralservice.com. Arrangements for Mrs. Maxine Ricalton are under the care of the O’Leary Funeral Service of Canton.